Why you should learn how to do contouring and what exactly is contouring makeup? a million bucks. It is done to make your features more defined – to add depth and dimension to your face – and accentuating your natural and beautiful features! Think about it this way, when you apply any makeup base or foundation on your face, you have just created a blank canvas – like when you are about to start painting – and contouring is used to add some depth and dimension to that painting. Ever wondered how to get a look with high cheekbones, or a well defined nose or even sculpt your jaw line? Contouring is the trick most celebs, models, movie stars use very often to always look picture perfect – and shed the so called extra pounds that the camera adds. Having a round face myself, I used to wonder how I could make certain features of my face stand out. Contouring is the answer. So let’s begin! What are the products required for contouring? The Brushes: In my opinion, an angled brush works great for both blush and bronzer. 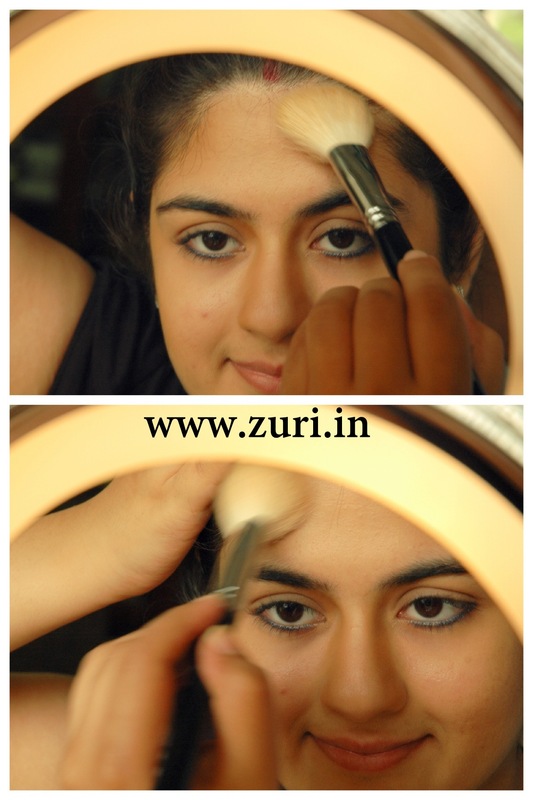 In case if you are not too comfortable using an angled brush, switch over to a fluffy blush brush. The only difference in its application will be to hold the brush in an angle so that you do not apply too much pressure. The main reason I suggest using an angular fluffy brush is to make sure it’s small enough to fit into the hollow of your cheeks. 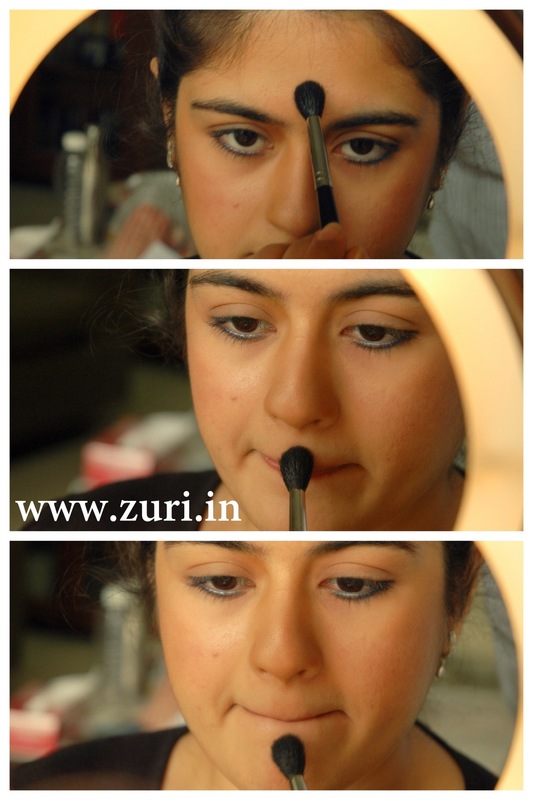 Also, to contour your nose you’d require a more tapered blending brush for more precision. A darker powder/cream/concealer/foundation or bronzer that is 2 shades darker than your skin tone: I personally feel that bronzers and face powders are great to work with. You don’t want to use a shimmery, warm, orange toned bronzer because you’re trying to create a shadow and a natural effect like your face is naturally sculpted & shimmery. Concealers and foundations have a very creamy consistency, hence require a bit more blending with a sponge as well as with a stippling brush to make the contour look most natural. 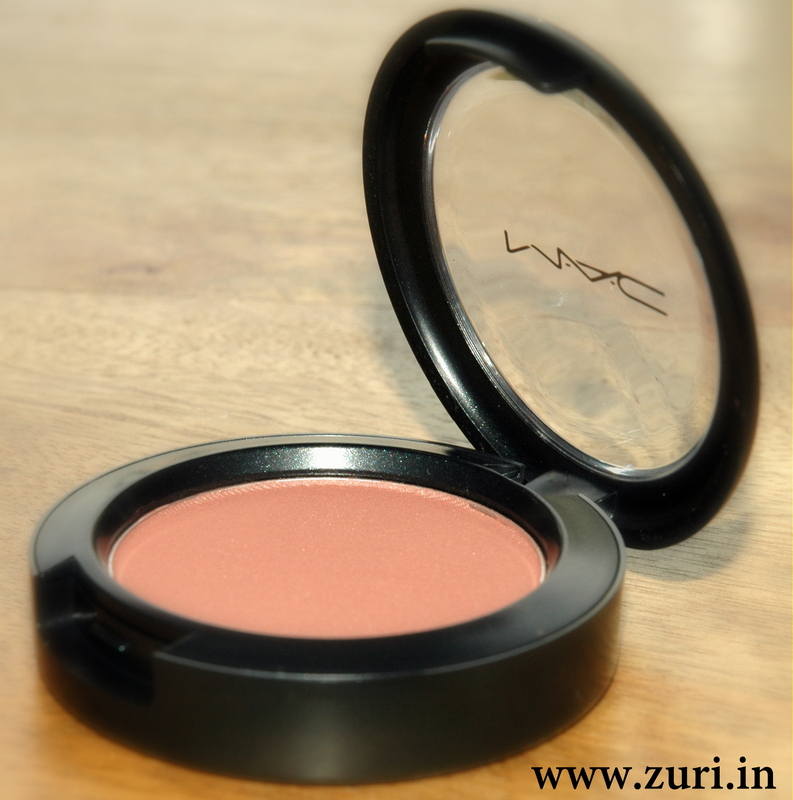 A Blush: Any blush in the colour of your choice will work. 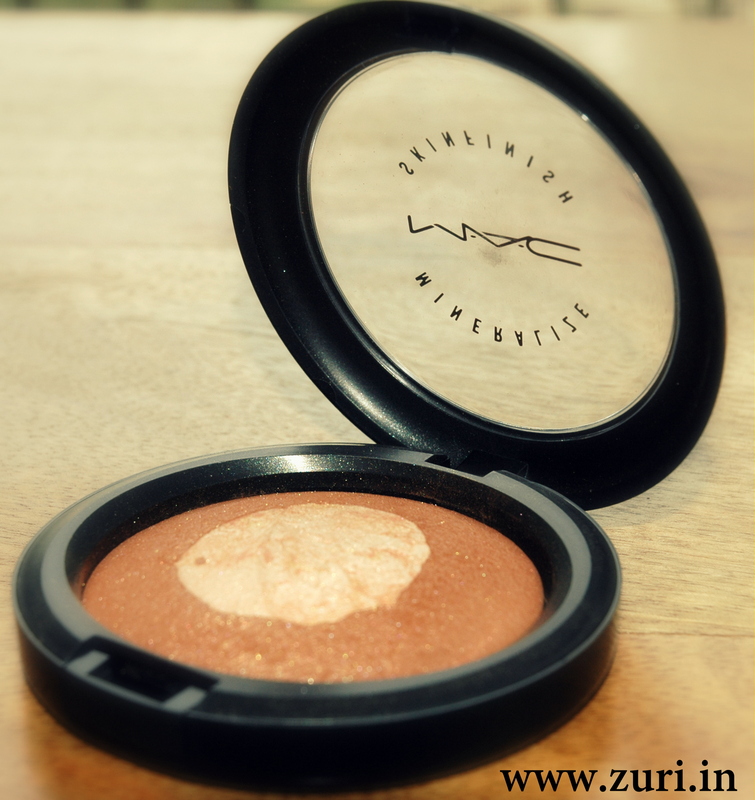 Highlighter: A powder or cream formula will look great as a highlighter. Highlighters are every makeup artist’s secret trick. You’ll love using it once you learn about it’s placement. We do this to find the hollow of your cheeks (where your cheek sinks in). This is where you will apply the bronzer. As we said before, we will be playing with light and shadows. 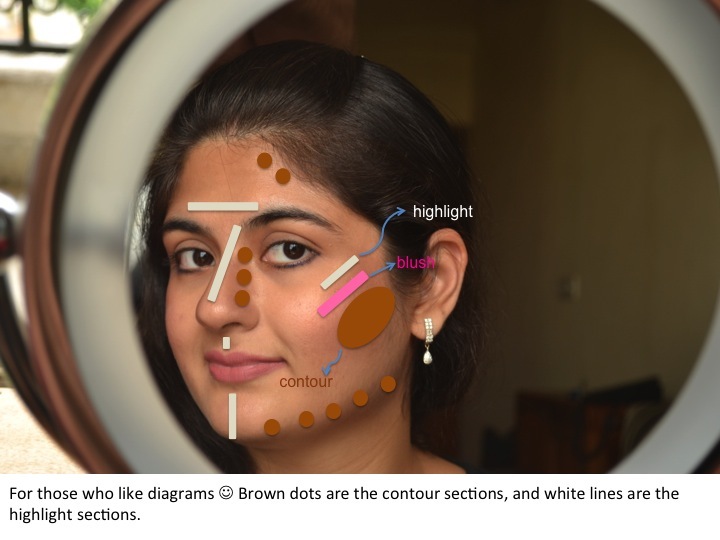 To describe the light sections of your face, makeup artists use the word “highlight”, and to describe the shadows/darker sections the word used is “contour”. 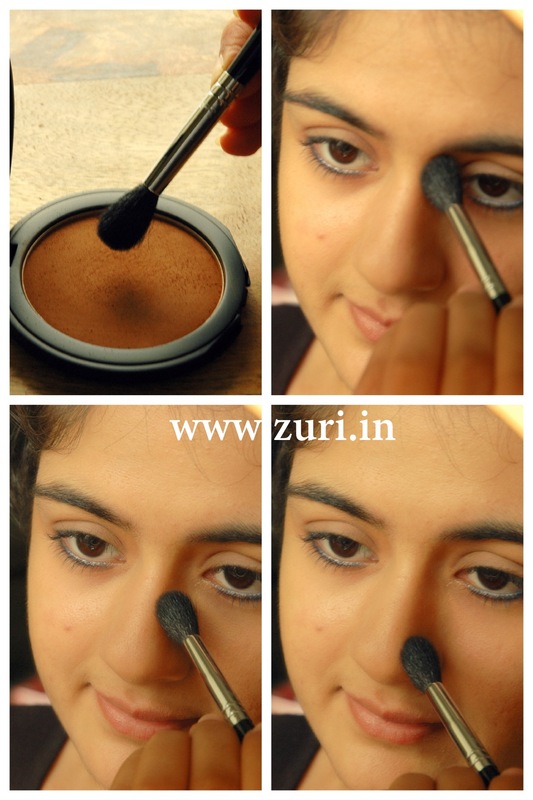 You can refer to the contouring diagram at the end of this post. In the subsequent steps we will be applying the contours i.e. playing with the shadows. When applying bronzer, blend the powder back towards your ear, keeping the colour most intense at the ear & gradually fading out near the cheek. Do not bring the contour powder too close in near the nose, as this will seem like you’ve desperately tried to do something! Blend in circular motions for the colour to spread out evenly. Next apply bronzer on the sides of your nose from the bridge straight down. Blending here is key. In case if you have a heavy chin, contour on your jaw line and under your chin, which will make your round face appear slightly elongated. If you’d like to make your forehead appear a little narrow, apply the bronzer on those areas too. You are done with contouring. That is, you are done playing with the shadows! Before we move onto playing with lighter sections of your face, or the “highlight”, we need to apply blush on the apples of the cheeks. 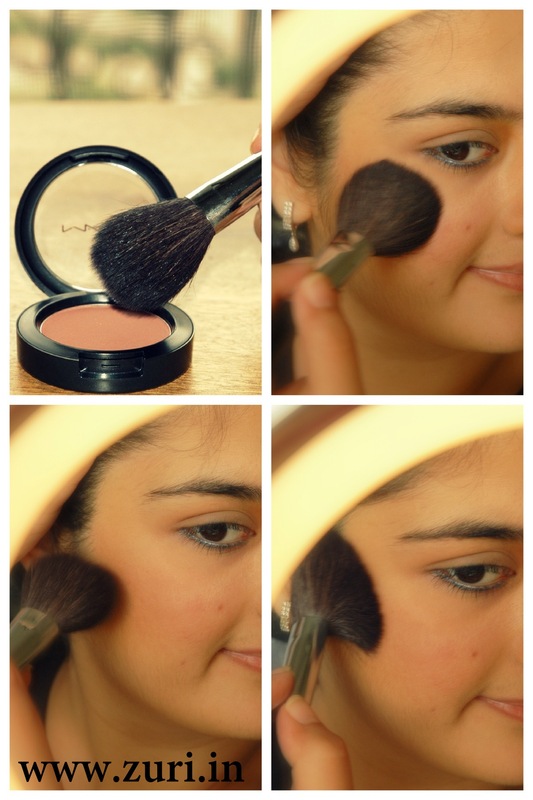 Blush should go one level above where you applied the bronzer on your cheeks, parallel to your jaw line. This will really make the apples of your cheeks stand out. 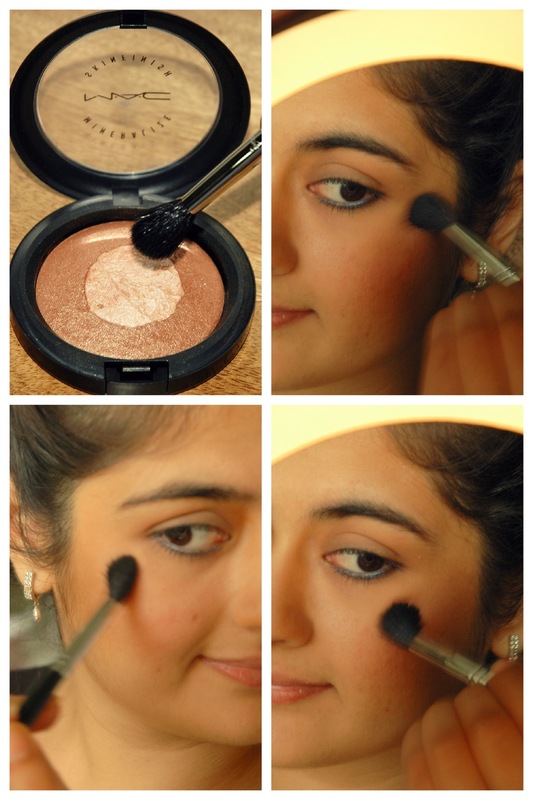 Blush brings a liveliness to the face and adds a natural looking flush. 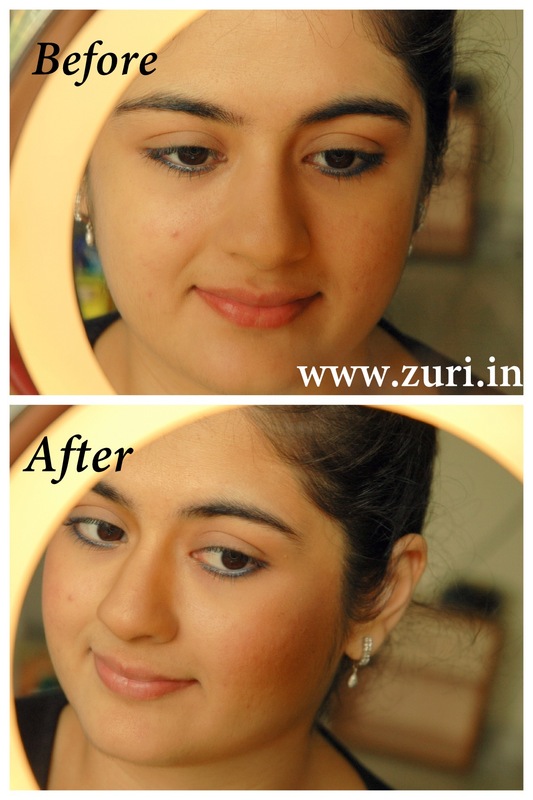 Using a powder or cream highlighter, take some in your finger & apply it where you feel your bone is placed on the cheeks. Blend with finger tips. Add a dab to the bottom and top portion of your lips to make their shape more prominent. Apply to your brow bones & forehead too (T-zone). Now is the time to check if you’ve missed on any spots. Do you need to blend more? Stepping back & giving your newly-contoured face the run-through can make the difference between cakey makeup and a beautiful face. Contouring is a trick that takes practice to master. But if you try patiently, you can easily figure it out. What really may take some time is to get the small subtleties of contouring right for your specific face shape – as each face is different. This requires a bit of practice. 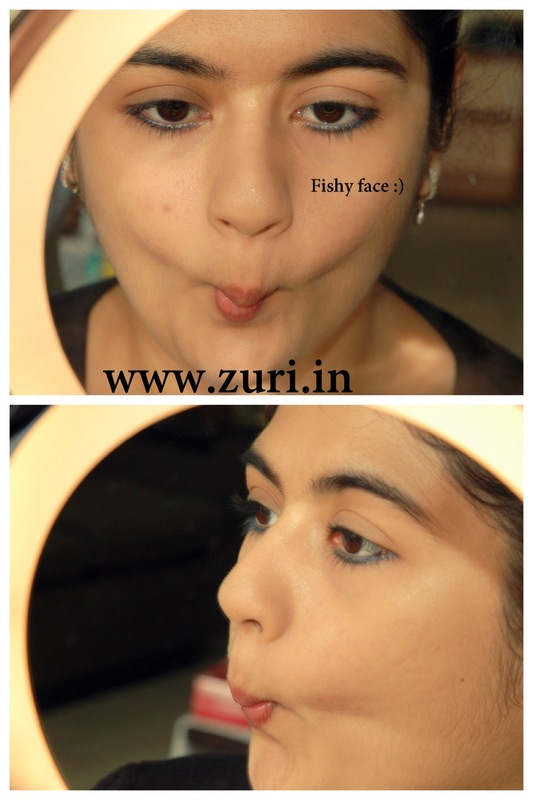 Try it, play around and discover what works on your face. It’s not as complicated as it seems, some people do it every day! Remember the golden rule – you use a darker shade to push an area away and a lighter one to push an area forward. In other words, use dark, matte shades on areas you want to recede and absorb light and use light, shimmery shades on areas you want to bring forward and reflect light. Not everyone needs to contour– if you feel that you already have prominent features or that your face is thin, it is best to skip contouring as you may appear too “chiselled”. 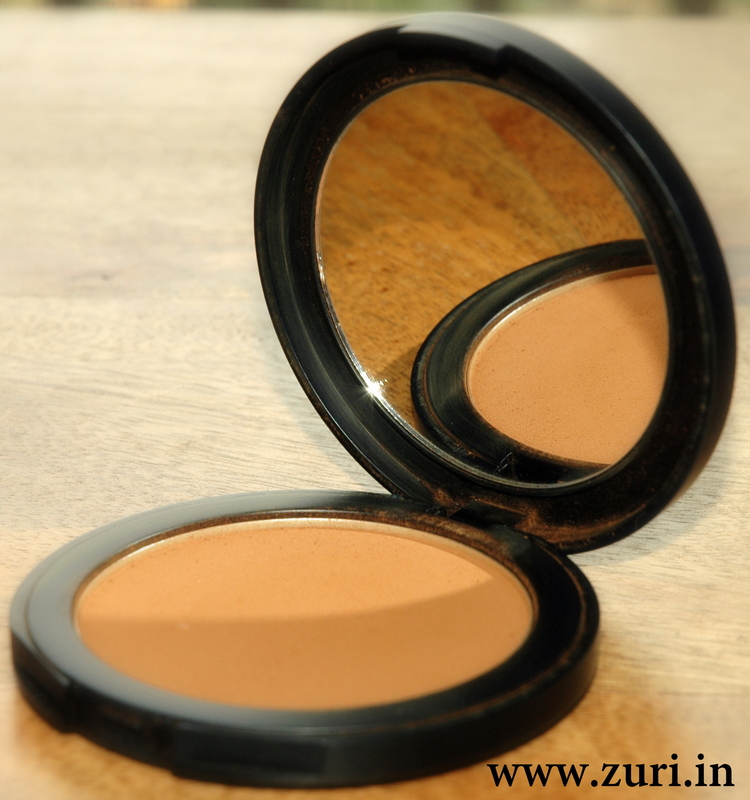 While contouring, choose a product that is 2 shades darker than your skin tone. The most important tip I can give is to use a light hand while contouring, especially around the nose area. Less is more! You can always add more if it doesn’t show up enough but it is much harder to hide when you’ve added too much! Also blend out any harsh edges so it really looks like a natural shadow and isn’t distracting. In case if you have beautiful dark skin, just stick to highlighting! You might try making an effort with contouring but the shading may not show on your skin color. In case if it does show, it might begin looking a wee bit ashy. So highlighting should be your best bet. 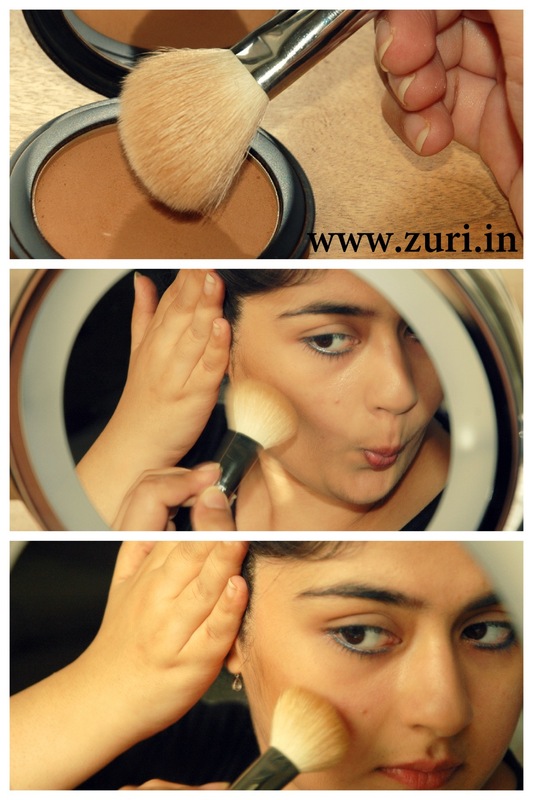 great contouring tutorial i have read . Thanks! Do try it out. I really loved the way you explained the whole procedure. Very didactic. 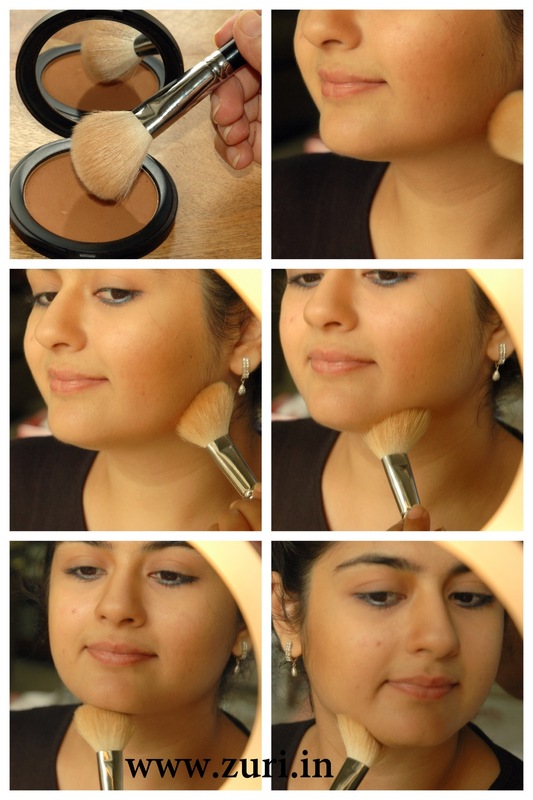 Great tutorial for contouring . Infact your all tutorials are awesome and really helpful . Can you please tell me which bronzer have you used in this tutorial ?